Australia will have to arrest an alarming run of form if they are to upset the odds and deny powerhouses New Zealand Rugby Championship glory. 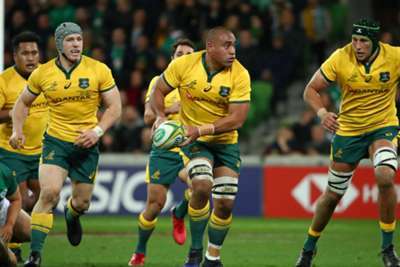 The Wallabies face a daunting opener against world champions the All Blacks in Sydney, a venue where they shipped 54 points to Steve Hansen's men 12 months ago, on Saturday. A year ago, Australia won only two matches and finished second above South Africa only on points differential. Head coach Michael Cheika has plenty to ponder, but there are positives as well for the men in yellow. We take a look at the positives and negatives ahead of the tournament. Australia are lacking in options at centre. Samu Kerevi sustained a ruptured bicep and is not expected to return until the trips to South Africa and Argentina in the latter stages of the tournament at the earliest. Fellow outside centre Tevita Kuridrani is also expected to miss a large chunk of the Championship with a pectoral issue. Reece Hodge will likely fill the void, while the returning Matt Toomua provides depth at centre and fly-half, but it is an area opposition teams are likely to focus on. It has been an unhappy spell for Cheika's side who finished 2017 with heavy defeats away at England and Scotland, matches which followed a narrow win in Wales. Things did not massively improve in the June Test series against Ireland. An 18-9 triumph in the first contest provided brief respite as the tourists roared back to win the next two contests. Australia did finish the 2017 with a morale-boosting win over New Zealand in the final Bledisloe Cup encounter, but only managed to beat Argentina in the Rugby Championship last season. ALL BLACKS OUT FOR REVENGE? New Zealand are again, inevitably, the team to beat in this year's tournament. The top-ranked team remain the standard bearers in world rugby and even the most optimistic fans of the other three nations will struggle to believe they can be toppled. Even more worryingly for the Wallabies, New Zealand will be stung by beating beaten the last time the teams met. The All Blacks do not lose often, and when they do there are usually repercussions. While Australia's form is hardly anything to write home about, they do have the added bonus of playing three of their opening four matches on home soil. New Zealand, South Africa and Argentina visit Sydney, Brisbane and the Gold Coast respectively, with Australia facing a short hop to Auckland in game two. If they can make the most of the home comforts then Australia will be in a strong position heading into the closing weekends. With the Rugby World Cup just a year out, Cheika has been successful in convincing several of Australia's exports to return to Super Rugby. Kurtley Beale and Will Genia are back on Aussie soil, while the skilful Matt Toomua is restored to the squad having agreed a deal with Rugby Australia and Waratahs - who he will join after the 2018-19 Premiership season with Leicester Tigers. David Pocock also returned for the 2018 Super Rugby season, having had a spell in Japan, while captain Michael Hooper recently signed a new five-year deal. This might seem an obvious one, but there is no doubt that there is motivation. Firstly to end New Zealand's stranglehold on the trophy but, perhaps just as importantly, to prove that competition is still strong in the Southern Hemisphere. Add in the fact that several players in an ageing squad will know they face a last-chance saloon ahead of next year's World Cup, there is plenty to play for. 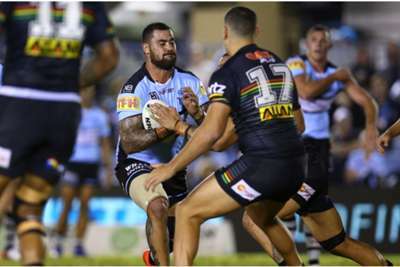 James Maloney appeared to have set Penrith Panthers on course for a big away win until Cronulla Sharks recovered spectacularly.